Witchlock vanished in the 13th century … or did it? If Atlanta falls, Witchlock will sweep the country in a bloodbath. After finally earning her place among the Beladors, Evalle is navigating the ups and downs of her new life with Storm when she’s sucked into a power play between her Belador tribe and the Medb coven. Both groups claim possession of the Alterants-turned-gryphons, especially Evalle, the gryphon leader. 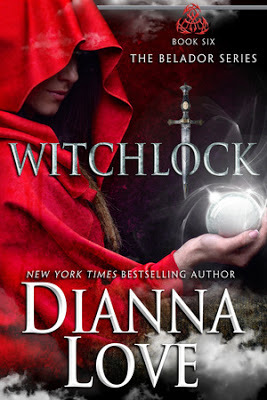 But an influx of demons and dark witches into Atlanta threatens to unleash war between covens, pitting allies against each other as a legendary majik known as Witchlock invades the city and attacks powerful beings. Evalle has one hope for stopping the invasion, but the cost may be her sanity and having to choose which friend to save. This book had a few lull moments such as the repeated “We need to talk” instances between Storm and Evalle. But, this latest tale in the Belador series had more action-packed, eye-opening, moments which outweighed the slow parts. One such example, Isak and Adrianna interactions. These two are going to make quite the power couple once they get to the coupling part. A match has been lit and unfortunately we will have to wait until April 2016 for Dianna to flame this smoldering fire. In case you didn’t know, that date refers to the next Belador release – “Rogue Belador”. Fantastico! Let me know what you think of it. Thank you for sharing. It looks good. I have never read any of her books but I think I will check this one out.